(a) The financial impact of the recommendations of the Central Pay Commission, as accepted by the Government, is normally more pronounced in the initial year and gradually it tapers off as the growth in the economy picks up and fiscal space is widened. 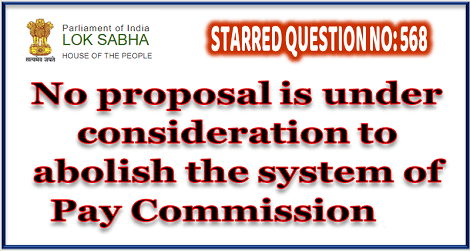 While implementing the recommendations of the last Central Pay Commission, i.e., the Seventh Central Pay Commission, the Government staggered its implementation in two financial years. While the recommendations on pay and pension were implemented with effect from 01.01.2016, the recommendations in respect of allowances have been implemented with effect from 01.07.2017 after an examination by a Committee. This has moderated the financial impact of the recommendations. Moreover, unlike the previous 6th Pay Commission, which entailed substantial impact on account of arrears, the impact in the year 2016-17 on account of element of arrears of revised pay and pension on the present occasion of the 7th Central Pay Commission pertained to only 2 months of the previous financial year of 2015-16.